Drapery Panels with Top Treatment - by Exciting Windows! 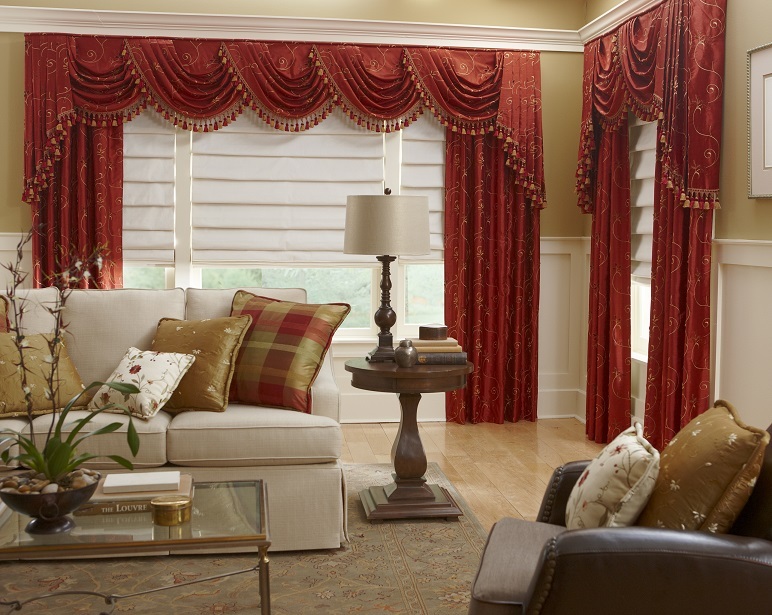 Bring dramatic style to your space with the sophistication of drapery panels and coordinated top treatment. The beauty of this fabric features flowing design, while the tassels add complementary appeal to bring out the gold hue. The richness of fabric roman shades adds levels of light control and privacy in contrasting white, allowing a simple backdrop as the drapery panels set the scene. Let us help you personalize your home today!